This question might be a lead-in to your worst interview nightmare. However, every employer wants to know why you deserve the job. Be prepared to tell your interviewer why “you” would be a great fit for the position! Better yet, present yourself in a way that provides an answer before the question is ever asked. This is a very valid question if you are to put yourself in the interviewer’s shoes. Know the job description: Do your homework and make sure you examine the job description point by point. Know the requirements of the position you’re applying for and how well suited you are to the position. Make notes on work you’ve done or skills you’ve grown that exactly match points on the job description. Also, note skills you may need to learn to be successful in the role. Be honest with the interviewer about your limitations, but focus on your strengths. Tell the interviewer why you would be great at the job. Give concrete examples: While you are looking over the job description, make notes about past projects, growth experiences or life skills that make you well suited for the position or company. Take your notes into the interview and make sure you speak to specific points that show them you’re right for the position. Employers want to know that you’ll fit into their culture and that you’ll hit the ground running. Be confident in your abilities: The best interviews end with you silently asking yourself, “Why wouldn’t they hire me?” Sell your skills and experience in a confident, but a non-arrogant way. You bring unique skills, knowledge, and experience to the table. Remember that the interviewer is just getting to know you, so you will need to tell them (and show them!) who you are and what you will contribute to their company. Dress for success: Dress for the job you want, not the one you have. Strive to be someone they remember as well put together from head to toe. Even if you know the work environment is casual, go to the interview as if you are applying for a CEO position. A well-dressed person oozes confidence, professionalism, and respect; all traits employers seek. With a little practice, you can master the art of giving a good interview. 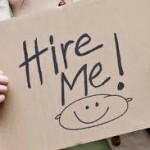 ACLIVITY offers a variety of Career Services that help you get the job! 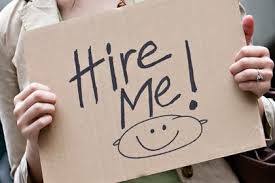 Call us for coaching, resume help or interview skills training. We’re here to help!